DUBAI - The family of murdered journalist Jamal Khashoggi denied on Wednesday (April 10) being in talks to reach a settlement out of court with Saudi authorities following reports that his sons had taken payouts. "Currently, the trial is taking place, and no settlement discussion had been or is discussed," read an English statement posted to Salah Khashoggi's verified Twitter account. Khashoggi - a contributor to the Post and a critic of the Saudi government - was killed and dismembered in October at the kingdom's consulate in Istanbul by a team of 15 agents sent from Riyadh. 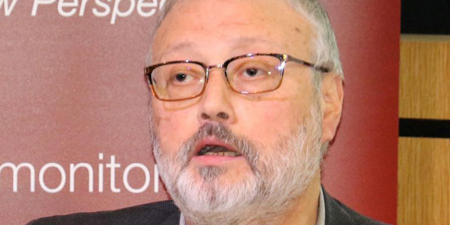 Riyadh initially said it did not know Khashoggi's fate, later blaming rogue agents for his death. Khashoggi's son said only the family and their attorney were authorized to "claim to be a source of information." The statement did not openly confirm or deny possible reparations from the Saudi king or crown prince, whom the family called "guardians to all Saudis." According to the Post, the payments to his four children - two sons and two daughters - "are part of an effort by Saudi Arabia to reach a long-term arrangement with Khashoggi family members, aimed in part at ensuring that they continue to show restraint in their public statements." US President Donald Trump has been Riyadh's strongest Western ally throughout the Khashoggi affair, phoning Prince Mohammed on Wednesday to discuss "bilateral relations," Saudi state news agency SPA reported. But Republicans and Democrats have both bristled over the White House's apparent embrace of the kingdom and its leadership. At least seven writers and bloggers - including two US citizens - were arrested in Saudi Arabia on Friday, according to rights groups, in the first major crackdown since Khashoggi's murder. The arrests came the day after US lawmakers voted to end military support for the Saudi-led war in Yemen, which has triggered what the UN describes as the world's worst humanitarian crisis. The text cleared the Senate last month and now heads to Trump, who is widely expected to veto the legislation. The US State Department on Monday also barred entry to 16 Saudi nationals under the Department of State, Foreign Operations, and Related Programs Appropriations Act.